All good teams seek an edge. So should your league. Add Fun & Excitement to Your League! 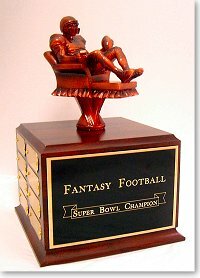 Now fantasy leagues can own their own Lombardi-like Trophy! 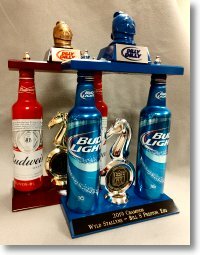 On All Trophy Orders - $15! 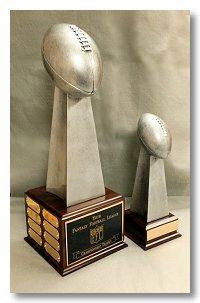 Whether you order 1 trophy or 100, shipping is only $15! Some restrictions apply. Click on link above for details.